Lacquer Lockdown: Hot Off The Stamping Press: New Moyra Nail Art Stamping Plates + Stamping Mat! 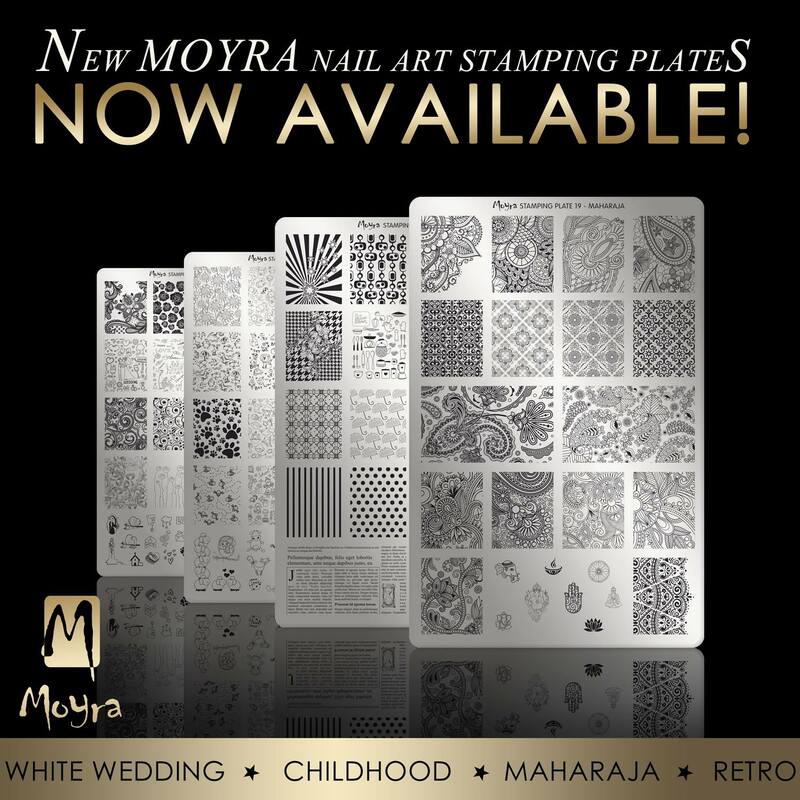 Hot Off The Stamping Press: New Moyra Nail Art Stamping Plates + Stamping Mat! Ok I decided to get the romantic one out of the way right away. I've had enough romance because of Valentine's Day. I'm all tapped out. But some of these images are gorgeous. The lace and abstracts in particular. However some are a bit familiar namely that female silhouette in the wedding dress with scrolls - its been done by BPS, MN, and MOS. Also roses - here we go again. Its to the point where even if I get married a rose shall grace no element of my wedding. Seriously enough roses and rose plates (says the girl who just did a rose nail art lol). I know I know! For myself this plate is ok. Stunning really stunning! 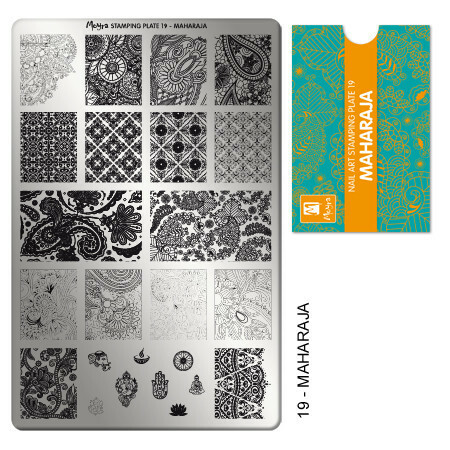 Oh Tamira you like an abstract stamping plate? Really how novel. Yeah I know side eye game is strong, but since I came for me don't you come for me ;) These abstracts are complex. A few of the patterns are totally washed out, particularly the row second from the bottom, such that I can't really see the images clearly. This is frustrating on a variety of levels. However the bold images are very unique. I can't help but noting a few of the accent images are dead on dupes of images seen on the Nail Matinee plates. It might because they are common images from Asian Indian culture, but still they are definitely dupes. The rest of the full size nail images however are highly unique. Once again if you go on their facebook you can see the images with a bit more clarity though they are smaller. Retro is basics meets campy. I like it! I won't say I'm blown away but the dots or stripes, but I love the little cameras and the falling umbrellas. The Newspaper print is awesome and the microphone blowing music notes. Oh and that floral houndstooth! Girl I'm dead. I need it bad! 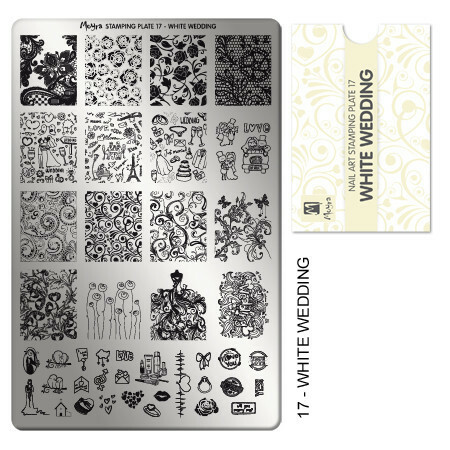 Finally I'm showing you their stamping pad. They did what other companies probably wanted to do but hadn't seen enough designs to make it happen. If you want to know what I mean go look at my stamping mat head to head post. This pad has black elements and white elements, different nail shapes across the decal shapes and a ruler. I'm just going to go ahead and say they owned it! In a market that is insanely oversaturated with these accessories, this is the most complete and well thought out one thus far. 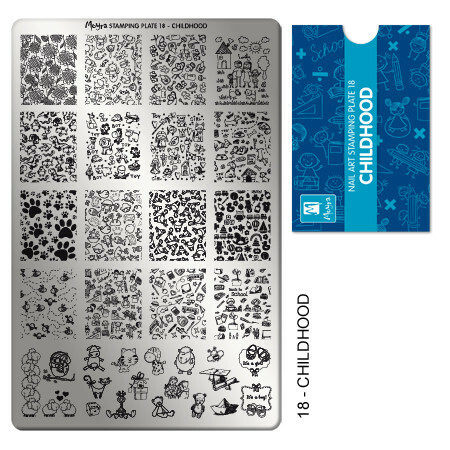 Though I still favor the MM one for the sheer number and size of decal nails available this one is also fantastic! Btw if you are looking for a post comparing all the mats out there check read here. So what do you think of these newest plates from Moyra? For you stateside ladies I have a good of bit news. 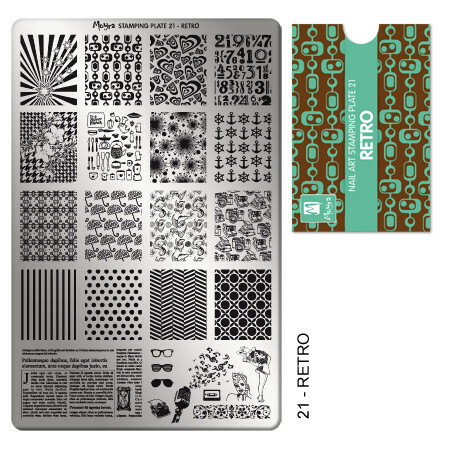 Yup Beautometry will be stocking these plates in their store and they are set to release Friday. Each plate will retail for $10 USD. For my international ladies and trust me I know there are a TON! 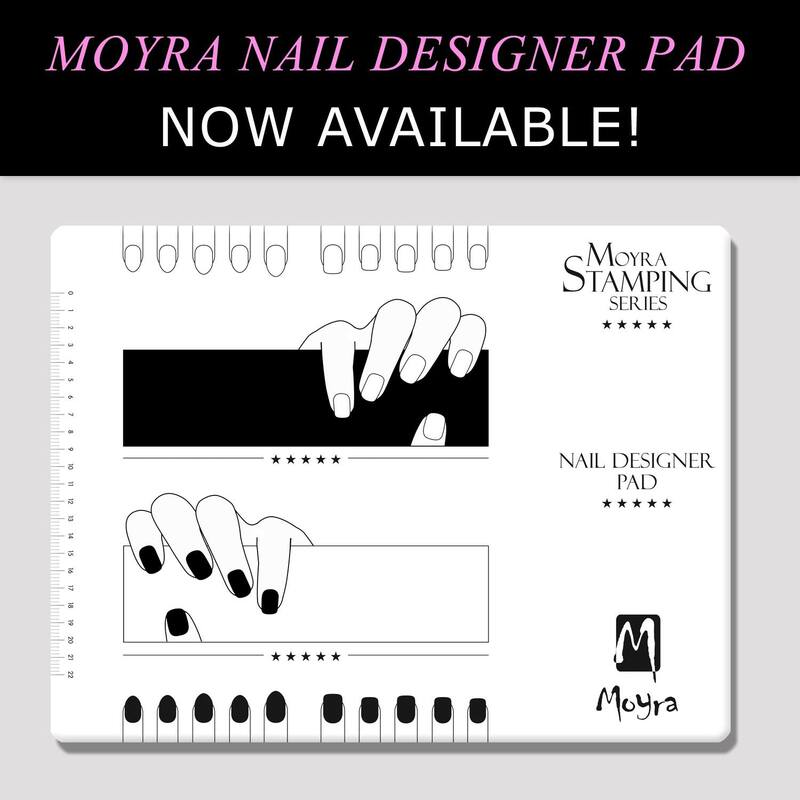 You can find your local Moyra retailer on their Facebook page or in the review I posted with the links across much of Europe.